At CES Amazon has confirmed it will be offering movies using the UltraViolet rights system. Bill Carr, executive VP of digital media, at Amazon says that the online retailer will be offering UltraViolet rights from an as yet unnamed Hollywood studio. 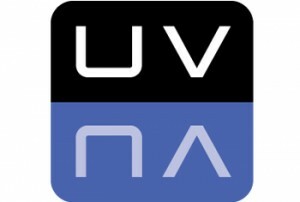 UltraViolet allows consumers to access multiple copies of movies and TV programmes they own on multiple devices via a cloud based service is backed by the Digital Entertainment Content Ecosystem (DECE) whose members include Hollywood studios, major technology companies, multichannel operators and TV programmers. DECE’s general manager and executive director, Mark Teitell, noted “2012 would be the year for UltraViolet,” with a significant expansion of titles, the launch of an industry standard format to further simplify the movement of content from device to device and the movement of the service into additional international markets. In announcing that Amazon would begin offering UltraViolet rights, Carr noted that they had always been in favour of the idea of a “digital locker” where consumers could access their content on multiple devices via the cloud. “We have reached an agreement in the last few days with one of the major studios for rights that will include UltraViolet rights and we are excited about the additional possibilities this will enable,” Carr said.